This book has been on my list to read for quite awhile because of how hyped up it is. I was fully expecting to be disappointed (just from the hype and that its not the typical genre I normally read) but it did not let me down and I absolutely loved it! 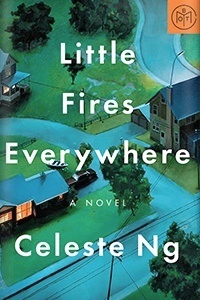 This story takes place in a small idyllic town in Ohio called Shaker Heights and starts off with a house getting set on fire – you’re not sure who or why its done until the end of the novel. The characters involve those in the seemingly perfect and well-off Richardson family as well as the tenants of their second home, a “starving artist” mother and her teenage daughter. Both very different families become intertwined in a number of ways and secrets surrounding the characters become revealed throughout the book. Its definitely not so much of a mystery or thriller, but more of a focus on the characters themselves, and to an extent, society as a whole. Many of the book’s characters are teenagers, but I don’t think I’d classify this as YA. After reading this, I’m definitely adding Ng’s other bestseller to my list! 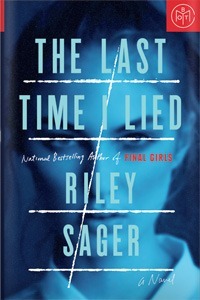 Riley Sager is on his way to becoming one of my favorite authors! This is his second book, the first being Final Girls, which I loved but didn’t review, and I think I may actually like this book even more. It follows 28 year old Emma as she returns to work as an art teacher at a summer camp she attended 15 years ago where 3 other girls mysteriously vanished. It cuts back and forth between the present day and her 13 year old past self. The chapters where the main character is a teen had a very Pretty Little Liars vibe to it…her friend Vivian reminds me so much of Allison. I will say the first half of the book dragged a tad and I was waiting for it to pick up, but boy it definitely did. The transition between Part I and Part II was honestly brilliant, and Part II kept me so intrigued that I couldn’t put it down. And of course, there’s always that little twist at the very end. I’m happy to learn this is going to be turned into an Amazon series and I can’t wait to watch it! Since the other book I picked for August was crazy long, I needed something that was on the shorter side and this book fit the bill being both somewhat short and the highest rated of the options. The novel takes place in the Appalachian mountains and kicks off with a hunting accident involving two friends, Darl and Calvin, and a local vigilante named Dwayne who will stop at nothing to get revenge. David Joy is a wonderful writer and he describes the scenery and mountains beautifully. Its a very action-packed page turner and I foresee this turning into an indie movie adaptation of some sort. That being said, for some reason the story didn’t grab me in the way that it should. Maybe it was because there was no mystery aspect needing to be solved, which I’ve gotten used to, or I couldn’t quite connect with the characters. It just felt like it needed something but I’m not sure what. I’m definitely in the minority though judging by the amazing reviews, so I’d still suggest it, especially since its a quick read! Picking up this almost-600-pager was a bit daunting (and a pain to carry around), but after the first couple pages I was hooked. 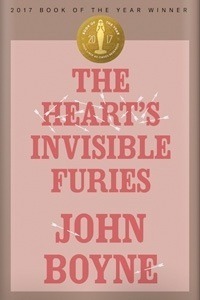 I haven’t read anything by John Boyne before (his most famous novel is probably The Boy in the Striped Pajamas), but the way he writes really grabs you and he’s amazing at dialogue and character development. This epic story (because the term epic definitely applies here) chronicles the life of an Irish man named Cyril Avery from the year he was born (his young mother’s story) up through the present day (2015). Each chapter takes place 7 years after the previous one. Cyril, who was adopted as a baby, spends his life trying to figure out his place in the world as a gay man in very conservative, religious Ireland. He also crosses paths with his birth mother on various occasions over the years with neither one of them knowing who the other is. Parts of Cyril’s story will make you mad and sad, but due to Boyne’s great writing style there are humorous moments as well. The time jumps in this book were seamless – beginning from around the end of WWII and ending in the internet age, you could almost be just as confused as Cyril with new technology being that you made this journey with him. This novel is heartwarming and really has everything…despite its length, I could have read 10 more chapters of it if there were any. Read it now! So many thoughts about this book. I kept going back and forth from liking it, to being annoyed by it, being intrigued, to eventually not really liking the ending at all. 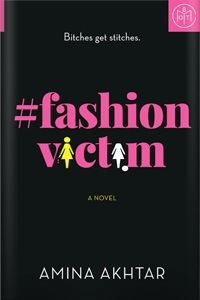 #Fashionvictim follows Anya, an editor at a style magazine, as she tries to climb the social ladder of the fashion world and befriend the popular and beautiful Sarah whom she’s been obsessed with since a teenager. You soon realize that Anya is not the “good guy” in this story. This is very much The Devil Wears Prada meets American Psycho. The dialogue is grating and made me want to bang my head against a wall (“O.M.G totes babe!”) and such a far leap from the last book I read…I think I felt dumber after each chapter and I couldn’t believe how these characters spoke to one another. I know the fashion world is cutthroat, but I cannot possibly believe human beings can speak to each other in some of the ways these characters did (though the author spent many years in this world so what do I know? haha). This was definitely a really interesting look into the mind of a very mentally disturbed person, I’ll give it that. Its a solid 3 stars, but I would have given 4 if the ending weren’t so deeply unsatisfying. This booook! This is one of the most wonderful stories I’ve ever read and is right up there with The Heart’s Invisible Furies which I read in August. In fact, the stories from both of these books are so very similar that this book kind of felt like a female version of THIF. This story has two main story-lines. 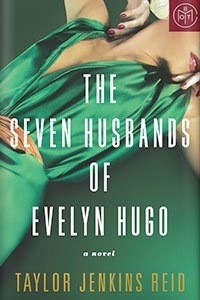 The first is that of Monique Grant, a magazine reporter who is tasked with writing a biography on the legendary (fictitious) movie star Evelyn Hugo. Monique is thrown off guard by the fact that Evelyn has specifically chosen her to write her biography being that she’s nothing more than an entry level editor, but the reason for that is revealed at the end (I won’t spoil it!). 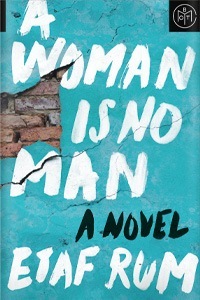 The second storyline (and bulk of the book) is that of Evelyn herself narrating her life story to Monique which takes place over several decades of her life from her teenage years in the 1950s through the present day. 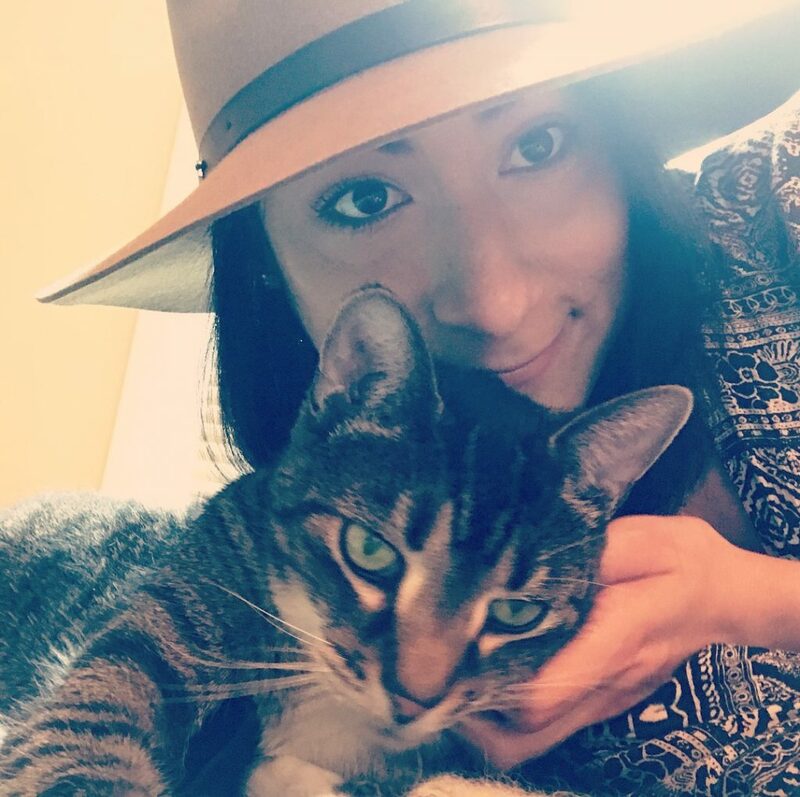 She describes how she became a movie star, the seven marriages she had along the way and who was truly the love of her life. 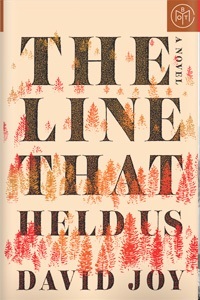 I finished it today and started tearing up on the train at the ending. This is a beautiful book and you should definitely read it (but don’t be like me and forget the tissues). Five stars all around!